Because sometimes Twitter is all the entertainment you need. 1. 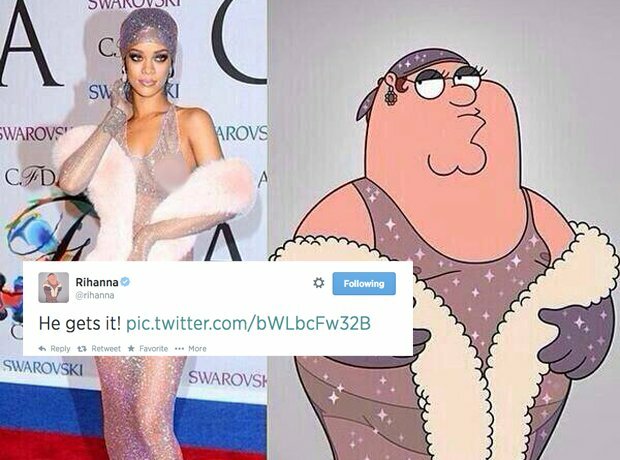 Rihanna finally found someone that thought her outfit was totally normal. 2. Tinchy Stryder was fed up with English weather. Rain. Sun. Rain. Sun. 4. Calvin Harris found a way to best express his feelings. 5. Every single Breaking Bad fan worldwide felt Justin Timberlake's pain. 6. B.o.B spoke the truth. 7. Azealia Banks was having a hard week. 8. Trey Songz touched down in South Africa for the MTV African Music Awards. 9. Disclosure made everyone jealous with their creation. 10. Tiesto tweeted an unlikely re-work of Drake lyrics!